Cloud computing sometimes defies economic analysis. The public cloud, in particular, is associated with abundance rather than scarcity, one of the key concepts of economics. But while the cloud creates efficiencies, it does not eliminate constraints or the need to choose between competing goods. One important task for IT teams today is to understand those options more clearly. There are several economic angles to cloud computing. In this first of three articles, I address cost and financial implications. The next two articles address cloud economics from the angle of applications and behavior. First, a preliminary question: Why do members of IT teams need to become more familiar with an economic framework of any kind? Isn’t it enough to master the technical complexities of the cloud and its various deployment scenarios? One answer lies in organizational trends. In a traditional organization, the leader of IT reported up, typically, to the CFO. But today’s CIO has a place at the executive table. In a similar way, as organizations have become flatter and more tightly integrated, IT personnel of all titles are now closer to management and counterparts in other departments. The alliance between software development and operations is a case in point. To be effective, devops team members should be conversant in more than just coding. Awareness of product development cycles, customer feedback, costs and other business factors also helps. In cross-functional engagements, the common language is often business, not technology. That’s one reason that IT needs economics. Another reason is that the IT department needs to defend its values and priorities, while brokering conflicts. These conflicts are real. The need for faster turnaround times and greater agility has driven business units to adopt public cloud and SaaS solutions, which often make IT nervous because of the implications for governance, compliance and security. When things go wrong, it is typically the IT team that ends up owning the responsibility, whether or not they procured the services. That kind of tension is unhealthy. Clear thinking about cloud economics can enable better management of risks and opportunities, leading to more positive collaboration within an enterprise. Business units have turned to the cloud largely because of its simplicity. A business leader who needs a SaaS tool or an IaaS sandbox for software development can sidestep capital investment analysis—and approval—and simply whip out a credit card to get started with low-cost, pay-as-you-go service plans. The problem is that over time, isolated initiatives multiply. The result can be a large percentage of total workloads using public cloud resource pools, quite apart from an organization’s own architecture and policies. Service fees also expand. This is not only because of increased usage. 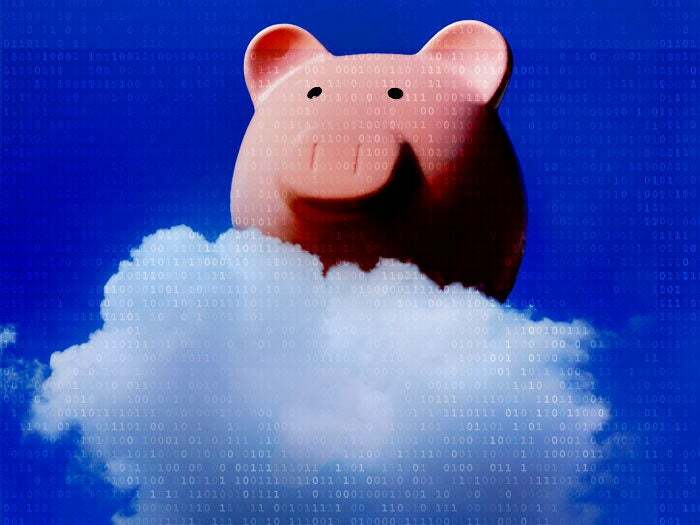 Beyond storage and access fees, enterprises often encounter a range of additional public cloud fees that make it difficult, if not impossible, to get anything comparable to a discount for volume purchase. Driven by a desire to reduce public cloud costs and increase control, enterprises are looking carefully at alternatives. But building a private cloud economic model can be complicated. It involves calculating fixed and recurring costs over a given number of years and includes a range of other factors, such as forecasted usage, redundancy strategy and the types of virtual machines (VMs) configured over a range of memory, storage and compute capacities. Public cloud costs can also be difficult to determine, especially when accounting for scale and features. And in a dynamic market, these figures are moving targets. Yet it is still possible to compare public and private cloud deployments, both on the basis of VM usage and monthly spend. Three years ago, I wrote that an enterprise is better to go with single-tenant dedicated cloud with anything above about 200 VMs. Based on our more recent analysis at NTT Communications in the Americas, I believe that private cloud is cheaper at 100 or more VMs. Others are also looking for the inflection point. At the OpenStack Summit last May, two cloud experts showed that, in the case of a global health and life sciences enterprise, private cloud became the better option above a monthly spend of $17,000. How many VMs that buys depends on how you configure them, but if you assign a cost of between $100 and $200 per VM, that analysis roughly aligns with our own ($17,000 ÷ $150 = 113). In addition to containing costs, by bringing these pools of resources into a private environment, IT teams can enable the quick delivery of compute resources while also applying more consistent policies and procedures to boost security, mitigate risk, and ensure regulatory compliance. Compared to scenarios where public cloud resources are overused, and IT and business are in uneasy tension, that sounds like a more ideal operational environment.